After just a few years on the market, the China-built Cadillac CT6 Plug-In Hybrid will be no more. Likely killed by new trade tariffs between the U.S. and China and probably lackluster sales, I’m not sure it will really be missed. For 2019, our focus for CT6 in North America is the launch of the comprehensive 2019 midcycle and the first-ever V-Series variant of the top-of-range sedan. Cadillac remains committed to electrified systems for our vehicles. Although production of the CT6 PLUG-IN for North America is discontinuing for the 2019 model year, alternative fuel vehicles remain a part of our future product portfolio as we move deeper in to our 10-year plan. GM has committed to 20 electric vehicles by 2023, some of which will be Cadillacs. Cadillac will also continue to be the spearhead brand for many of the company’s technologies, such as Super Cruise and V2X. 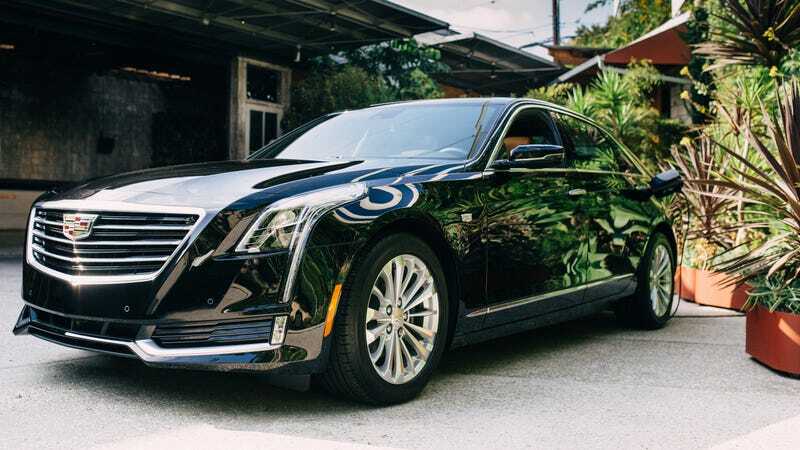 The CT6 Hybrid touted decent performance numbers, with a total of 335 system horsepower and 432 lb-ft of torque from a combination of its 2.0-liter four cylinder combustion engine and an 18.4 kWh battery pack from a Volt linked to two electric motors. Its zero to 60 mph time of 5.2 seconds and top speed of nearly 150 mph weren’t bad at all, but in our review of the car, it was sort of just fine to drive. But it was always a hard sell. At a starting price of $75,095, it only offers an estimated 31 miles of pure-electric driving range and just 62 MPGe for a total range of just over 400 miles, which is pretty lackluster when compared to smaller plug-in hybrids but better than the current BMW 740e iPerformance PHEV. The problem here, as GM Authority points out, was spending close to Tesla money on a car that just wasn’t as capable or as cool. Cadillac doesn’t break down car models based on individual trim levels—most automakers don’t—so we can’t know for certain how many CT6s with plug-in hybrid badges actually shipped to customers. But if we look at overall CT6 sales compared to the new 7 Series, it’s actually surprisingly even with at least one German competitor. In 2017, BMW sold 9,276 of the 7 Series in the U.S. and Cadillac sold 10,542 of the CT6, so the model has that going for it. It just seems to be Cadillac’s attempts at electrification that really can’t catch a break—first the ELR, now the CT6 Hybrid. It’s not looking good for that rumored electrified flagship car Cadillac could be planning, or whatever else is in the works.